Well, we have been quiet vocal on buying your health products and medicines online and we still continue on the same path. This time, we have a very special offer for medicines. You can get your products for almost 50% discount, if you follow the below technique. We would require just one thing from you. If you can help us share the link among your friends and family members. We want everyone to save more on everything. Healthcare cost has really taken the money from our pockets like hell and we all know the nexus and the profit making of these companies. You can easily see lot of people into the medical industries buying those high end cars within couple of years and it is possible when you get high margins on your products. So, the margins were always huge on medicines but now no more. Save money for your self. Save money for your future. Save money for your kids. Save money for your travel, Save money to invest in penny stocks and let luck play the part to make you millionaire but do not give away your money to make yourself poor. If this makes sense to you, read further. 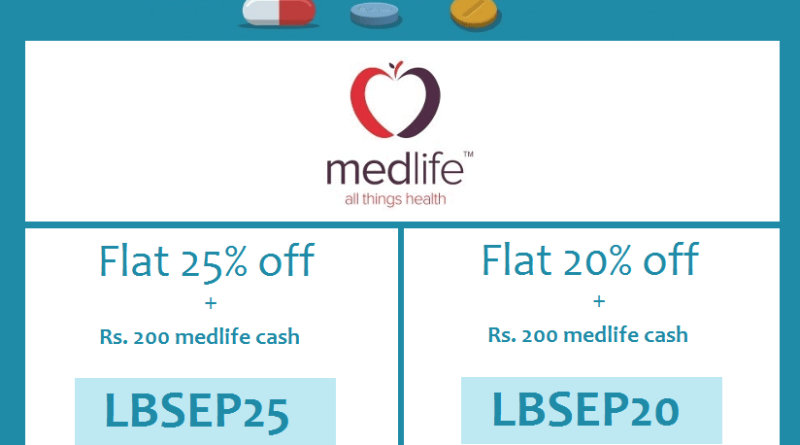 These codes will give you flat 30% or 20% discount depending, if you are a new or old user on medlife respectively. But over and above that the code will help you get Rs. 200 in cashback from medlife which you can use on your next order. So, now let us do the calculations. Assuming, you are a old user and you want to buy medicines worth Rs. 1,000. So, our code will give you 20% discount + Rs. 200 in cashback from medlife + if you use klippd while going on medlife, you get another 11.25% in klippd cashback. So, your order worth Rs. 1,000 is actually worth only Rs . 510 which means a direct saving of Rs. 490 per month or Rs. 5,880 per year. Well, this is indeed the banya way of saving more money. Keep that money in your pocket and invest. If you like it, do share and comment. ← Is this a GOLD Arbitrage? awesome man, it’s a great way to save money easily on medicines. Thanks. We appreciate it. Do share it among your friends. Bhai there is some issue with the calculation done above. 11.25% from klippd which is 90rs. So the saving is 290.